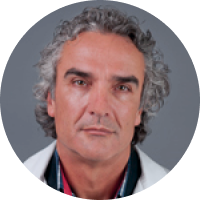 OncoStats provide a unique platform and a tool specifically designed for clinical workflow of oncology doctors and their variable operational needs. By a systematic data collection approach and structured information we can deliver better treatment decisions for the patients. We provide personalised and accurate clinical data required for decision-making processes such as multidisciplinary team meeting and, ordinary patient reports and ambulatory treatment during the day ward process. With all patient data details available matching physicians knowledge we believe we can deliver better treatment decisions. 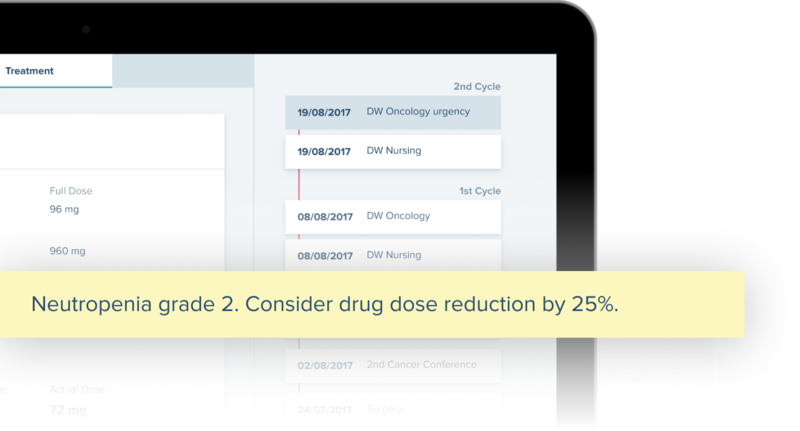 We integrate the information that is collected with OncoStats with the most current international cancer guidelines and deliver instant feedback about diagnostics and treatment that aids clinical decision-making allowing an optimisation of practice performance and reducing significantly the medical error. Evaluation of each cycle of patient treatment: clinical analyses, vital signs and symptoms reported by the patient. Automatic report of adverse reactions. Protocol administration: drugs, dosages, units and time of administration. 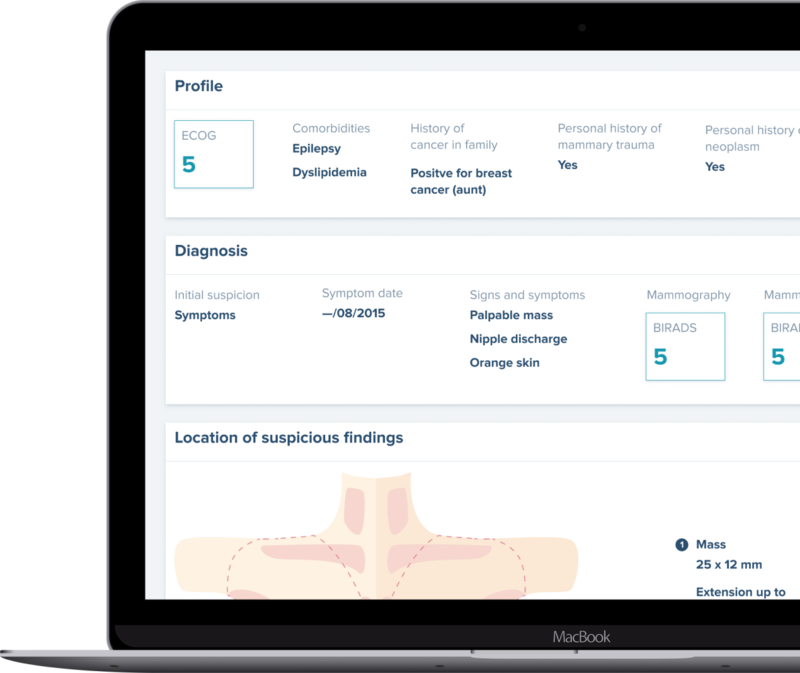 Customisable dashboard available to both physicians and cancer centres with analytics and quality metrics from clinical data and real-world evidence to improve the precision of current and future treatments.